After last years fires in the Sierras smoked us out of our John Muir Trail section hike, we got permits to attempt to do it again this year. Unfortunately, S could not make it this time and instead a few of my friends (A and E) joined me on the trip. The schedule was fairly aggressive and it really pushed the hiking team. While S and I both comfortably hike 15-20 mile days, the other two have never done more than nine miles a day. We followed as closely to our original itinerary as possible, but having been issued walk-in permits for Half Dome, we accelerated our schedule to meet our permit date. The number of people on the trail during this time of the year also made it very difficult to find suitable camp sites. A few quick notes: Yosemite recently changed nearly all of the names throughout the valley, I used an old map and it made it difficult to locate where I was going. Permits and Restrictions: Permits can be obtained through www.recreation.gov. Make sure to obtain a fire permit online or at the ranger’s office if you plan on using a stove for cooking. A bear canister is also required for this trail and available for rental at the local ranger station. Permit pick up at Mammoth Welcome Center (night box options OK). We visited the Wind Wolves Preserve in Bakersfield, California this past weekend with Louis’s sisters and their significant others. This is one of the 12 preserves run under the Wildlands Conservancy in California. It was our first time at the Wind Wolves Preserve but we’ve visited the Oak Glen Preserve in Yucaipa, California last year. Location: The preserve is located at 16019 Maricopa Highway, Bakersfield, CA 93311 and it takes a little under 2 hours to get there from Los Angeles. Camping at San Emigdio Campground is free and available at the park with reservation, we emailed Courtney Carter to make our reservations a couple weeks in advance. Check in for campsites is daily between 2PM-4:30PM and checkout is at 10AM. No late arrivals is allowed after 5PM. Fees: There are no fees to use and visit the reserve or camp, however, since this is a nonprofit organization, they do suggest $5 donation per individual or $10 per family. Campfires: Unfortunately, no campfires are allowed due to the dry climate in Bakersfield. Additional information can be found on the Wind Wolves Preserve webpage and their facebook page for photos. We try to take advantage of the 4-day weekend during Thanksgiving every year by going on a trip. 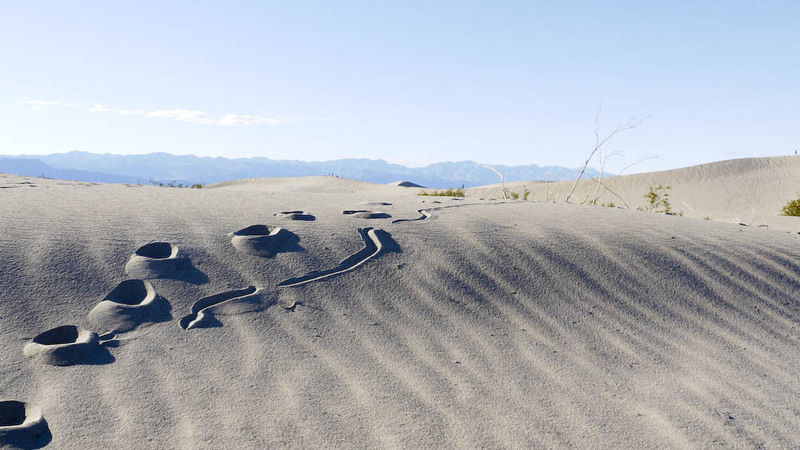 This year, we decided to stay close to home and visit Death Valley National Park. Located in eastern California within a couple hours of drive to Mount Whitney (the highest peak in the lower 48 states), it is also known as the hottest, driest and lowest point in the U.S. This would be our first time visiting the national park. Our plan is to car camp and drive each day to our planned destinations. Count calories and bring the exact amount we need. There are been many times where we brought way too much food and had to haul half of it back home. Try to only pack one hot meal per day. I’m even trying to cut back on this for long mileage days (10+miles) since we are usually too tired to cook at the end of the day. 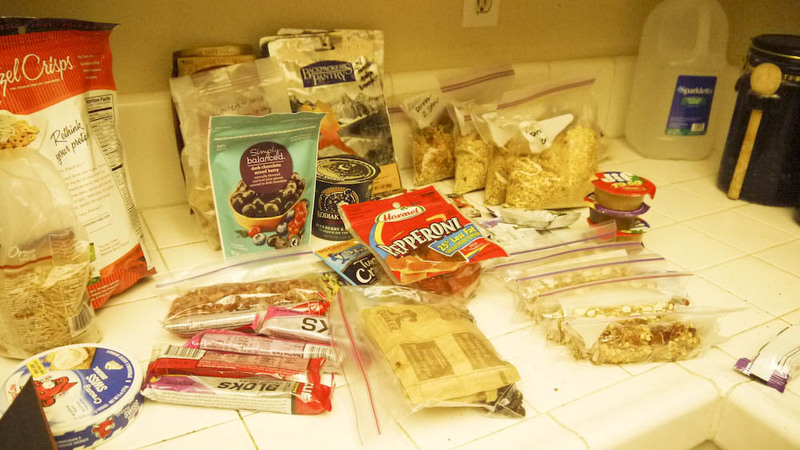 Bring lots of high energy snacks while we hike during the day. Low blood sugar can really slow you down when you are hiking. We managed to fit all 5 days of food for 2 people in our Bearvault BV500.